Confused yet? Water damage claims are inherently confusing to policyholders. Not only are the insurance company’s internal rules confusing, typical property insurance policies do not cover natural flooding such as water damage from a river that flooded the neighborhood. That type of water damage is covered by the National Flood Insurance Program, and not everyone purchases flood insurance. When reporting a claim try not to claim that your property is flooded if in actuality the damage is being caused by another source. Call us to learn more about how to proceed with proper water extraction and clean-up procedures to minimize property and content damage. All Elements Insurance Restoration can help you navigate the insurance process as well as mop up and rebuild. 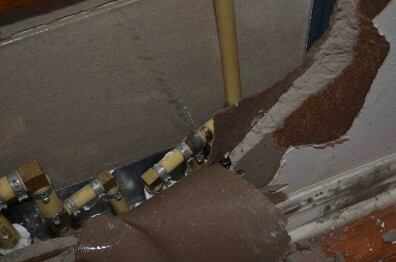 Our firm deploys water damage restoration experts and all required equipment immediately 24/7/365. We’re here for you throughout the process. Contact Us today to learn more. Due to the nature of water damage, a prompt response is our first priority. The sooner you call us, the sooner we can contain and mitigate the damage. Since mold can form rapidly in the presence of high humidity, drying out your property quickly is essential. We spring into action to dry out your home as quickly and efficiently as possible. Crews work diligently to clean, dry, disinfect, and deodorize salvageable items. Meanwhile, our insurance experts work with you to inventory and document the damage, file insurance claim paperwork, estimate the value of your water damage loss, and obtain a fair settlement so that you can restore the property to its pre-loss condition.